Sir John Everett Millais (Brittish, 1829-1896) For the Squire (1882) Oil on canvas. 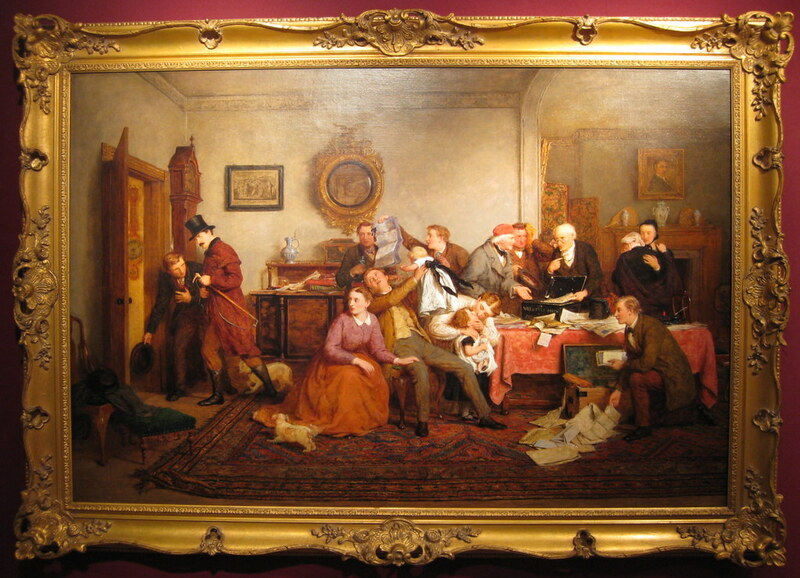 The Fine Art Society, London. (Detail). See the end of this post for more on the painting. It’s been over for a week, but I feel compelled to post pictures from my visit to the Grosvenor House Art & Antiques Fair. Before it ended, I was able to spend several hours with dealers and buyers one of the longest-running and grandest art fairs in Europe. 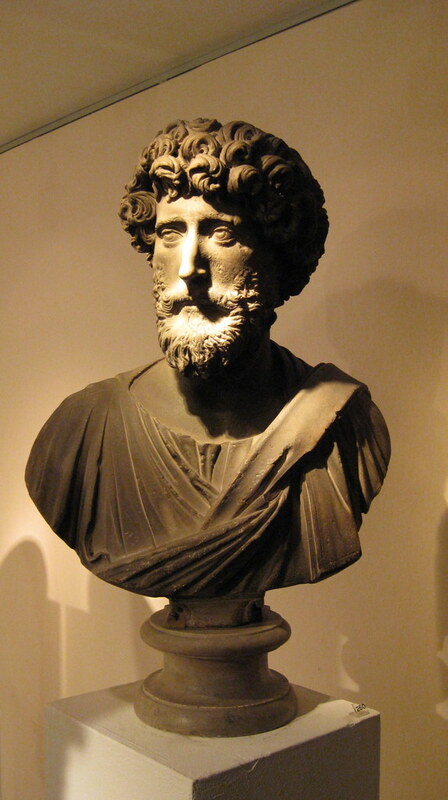 Bust. Cahn Basel St. Moritz, Antiquities dealers. 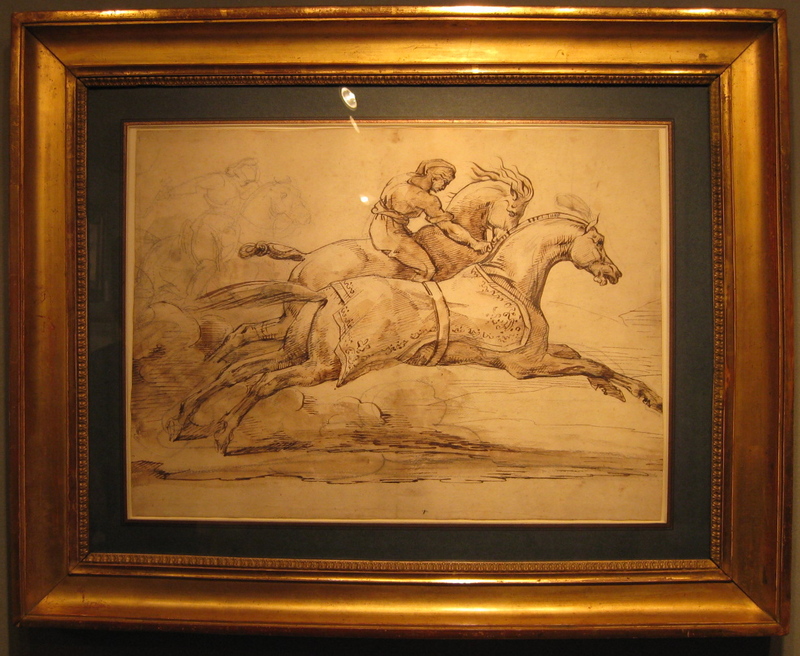 Thédore Géricault (French, 1791-1824) Two Galloping Horses. Pen and brown ink and brown wash, over an extensive underdrawing in black chalk. 35.3 by 48.4 cm. Stephen Ongpin Fine Art. The first work that caught my eye was a remarkable sketch (above) by Géricault. Known for his obsession with horses–entire coffee-table books having been dedicated to them–its still startling to see one in person, and how much he can conjure with so few few lines. Sir Edward John Poynter (France, 1836- Great Britain, 1919) Lesbia and her Sparrow (1907) Oil on canvas. 50.8 by 38.1 cm. Richard Green, London. Previous to arriving several people had suggested that if I saw one work at Grosvenor, it should be the Green’s Lesbia and her Sparrow (above). A cult following of British Olympic painters (e.g. 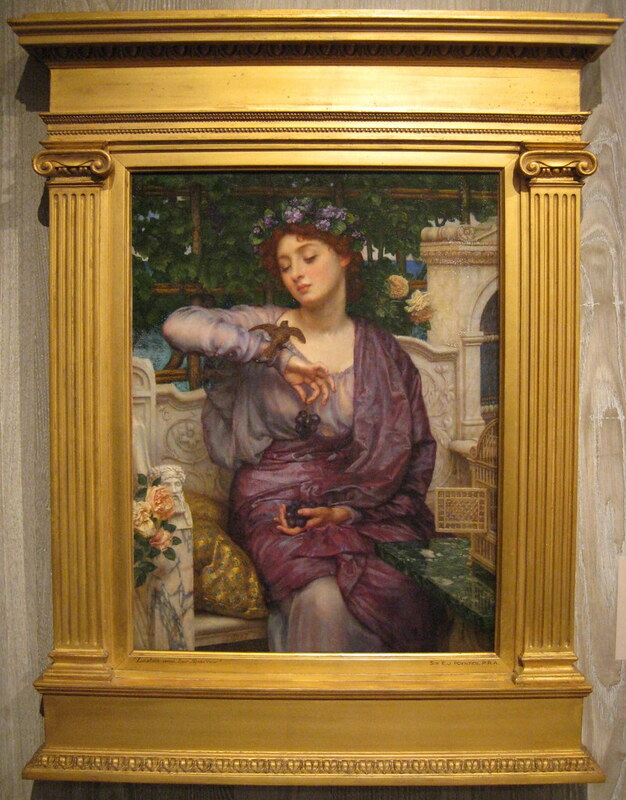 Leighton, Tadema, Godward, and Poynter) has come fruition in the pas three decades. Poynter is one of the group’s finest, and this is one of his gems. Sir Alfred Munnings (British, 1878-1959) A portrait of Frederick Henry Prince (1859-1953), Master of the Pau Foxhounds (1924) 96.5 by 114.3 cm. Richard Green Galleries, London. Sir Alfred Munnings described Frederick Henry Prince (above) as “one of the most amazing characters I had ever met . 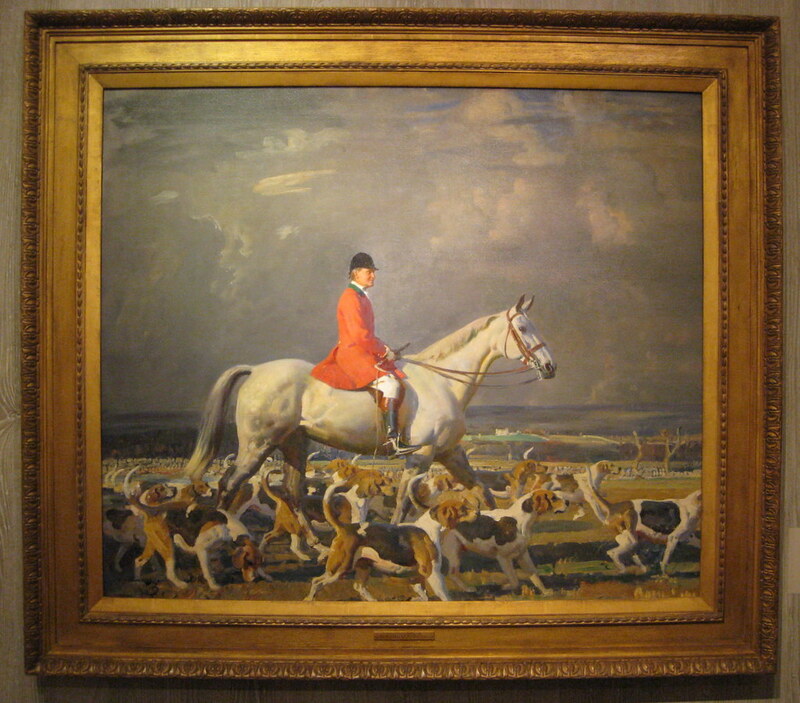 . . a grown up boy.” This painting was commissioned by Prince, showing him at one of his favorite activities and the kind of scene Munnings had made his name producing: sporting pictures. If you are not familiar with Munnings’ work, you can be forgiven. Due to the way his paintings are sold–at sporting auctions and not nineteenth-century art auctions–outside of Great Britain, Munnings has not received the recognition his skill merits. Gijsbrecht Leytens (Antwerp, 1586-1656) Winter landscape with people strolling on the banks o a frozen river where children play. Oil on panel. 72 by 105 cm. Private collection, for sale by De Jonckheere Fine Art. George Smith (British, 1829-1901) The Will Found. Oil on canvas. 29 by 44 in. Behold the power of narrative painting. A family has lost the recently-deceased patriarch’s will, and a scoundrel–seen exiting stage right–trying to take advantage of the resulting ambiguity. After searching through numerous documents–in the foreground and on the table–the will is held high and the rightful, and obviously deserving, inheritors are vindicated. Mustached evil is chased out the door by the family dog, the embodiment of fidelity. Though I haven’t found it yet, it is highly likely that George Smith produced The Will Found to be a print. Prints and contracts with printers were often more lucrative for painters than the sale of the original work. Such was the case with Holbien in the eighteenth century. 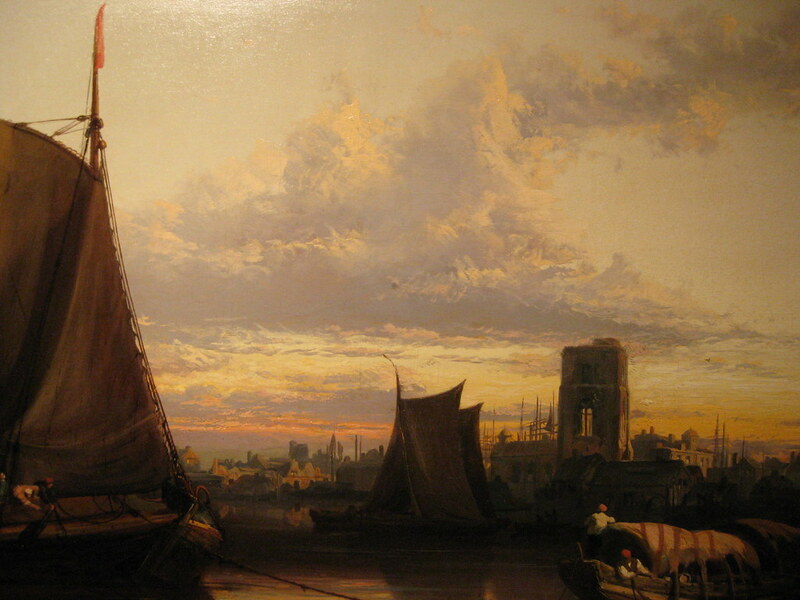 James Webb (British, 1825-1895) Sunset over Dordrecht Harbour. Oil on canvas. 28 3/4 by 49 in. 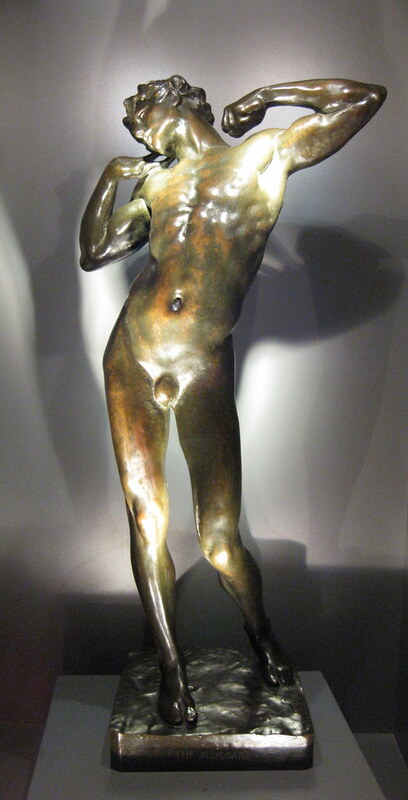 Frederick Lord Leighton (English, 1830-1896) The Sluggard (c. 1885) Bronze. 52.5 cm. Robert Bowman Galleries, London. 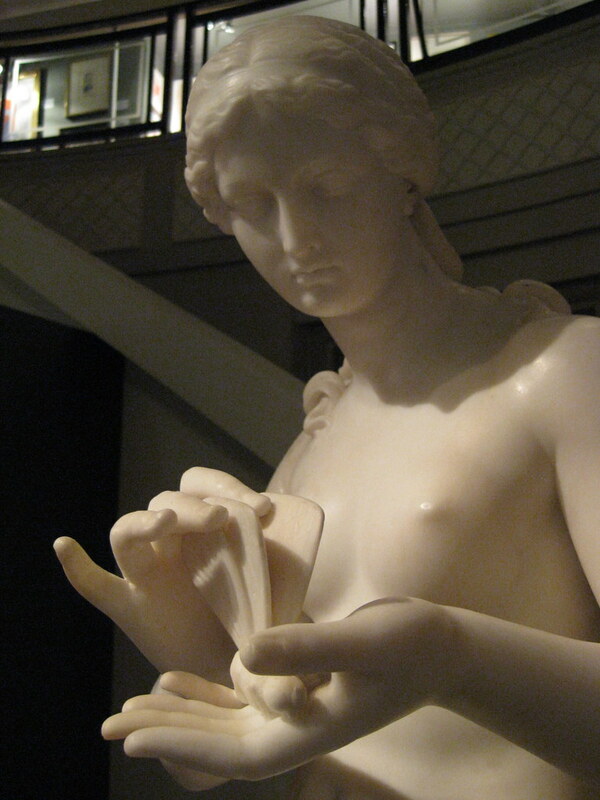 Robert Bowman is one of the world’s great dealers and experts of nineteenth-century sculpture. For several years he maintained both contemporary and nineteenth-century galleries. However, a few years ago, he downsized by closing his nineteenth-century gallery and showing those works almost exclusively at fairs like Maastricht and Grosvenor. This year Bowman had several works by artists like Leighton and Rodin that can be seen in larger scale versions in museums around the world. Seeing The Sluggard (above), at this small size gave me a completely different eperience than the larger-than-life version I am used to seeing at the Royal Academy in London. While I find the larger version imposing and dynamic, this appears more delicate bring out a kind of beauty I hadn’t seen in the other. Also, the patina of this smaller work is beautifully rendered. 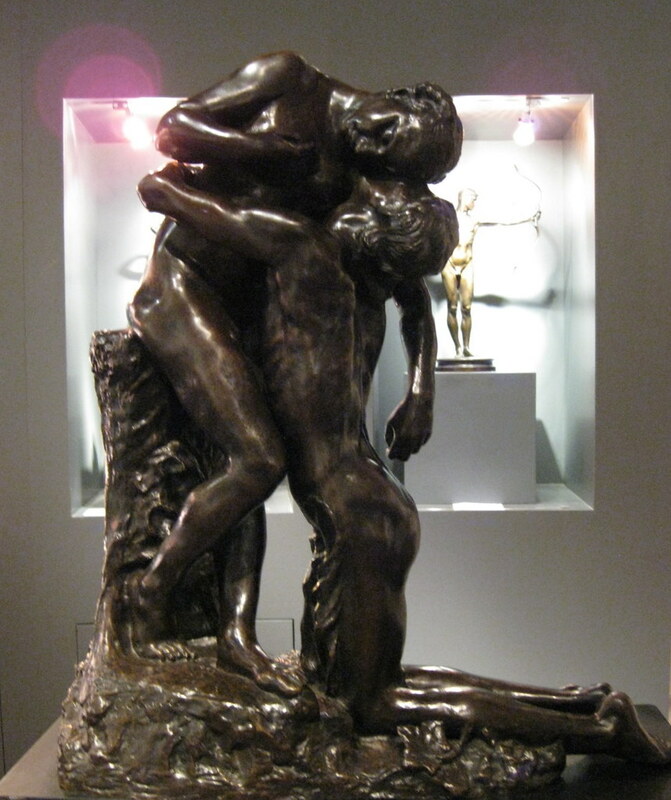 Camille Claudel (French, 1864-1943) L'Abandon (c. 1905) Bronze. Robert Bowman Galleries, London. 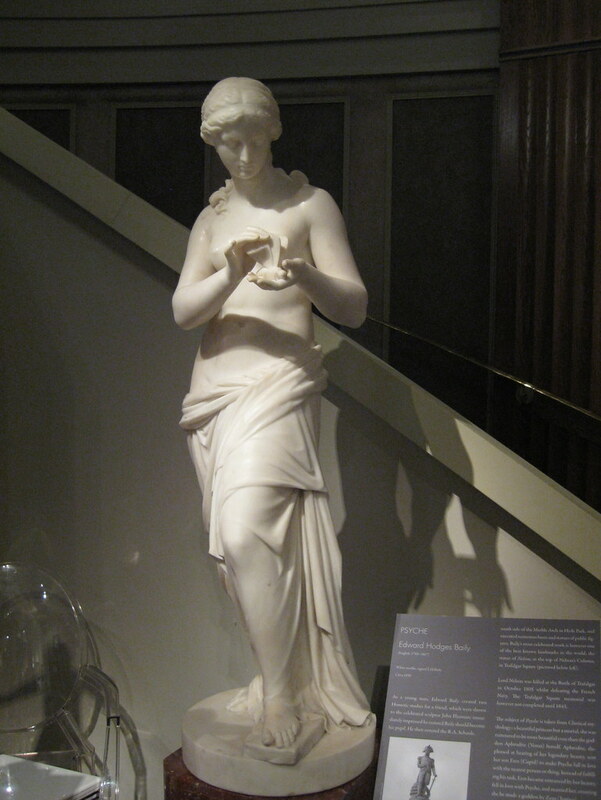 Edward Hodges Baily (English, 1788-1867) Psyche (c. 1850) White marble. Robert Brown Galleries, London. 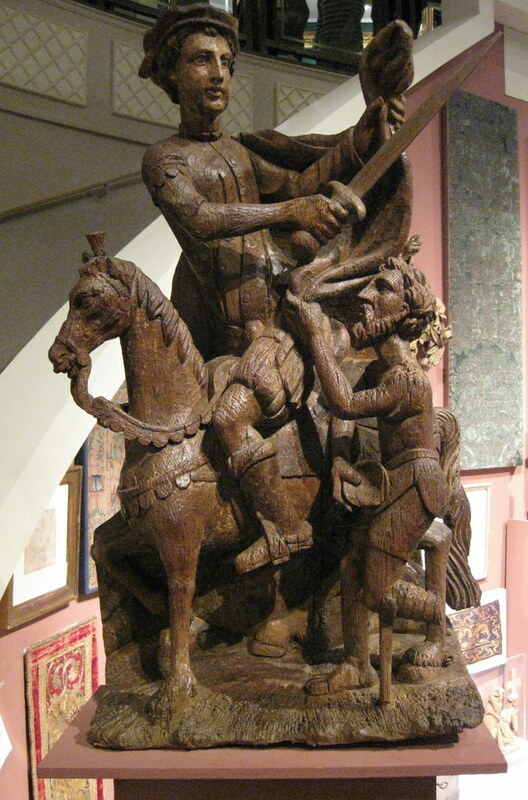 Anonymous (Flemish) St. Martin dividing his cloak for a beggar (c. 1380) Wood with some original polychrome. 81 by 43 by 26 cm. Joanna Booth, London. Directly across from the Bowman Galleries stall was the that of Joanna Booth, a dealer in mediaeval and archaic works of art. St. Martin dividing his cloak for a beggar (above) is a remarkably fully-realized piece. This single angle of the work does not adequately capture the full effect it has in person. The beggar with a wooden leg, the bold gesture of the Saint cutting the cloth, and the interesting choice to make one so much larger than the other, the author’s mastery in depicting varied textures. . . here it looks almost like a cartoon caricature; but, in person, it takes on a majestic air that is humbling. 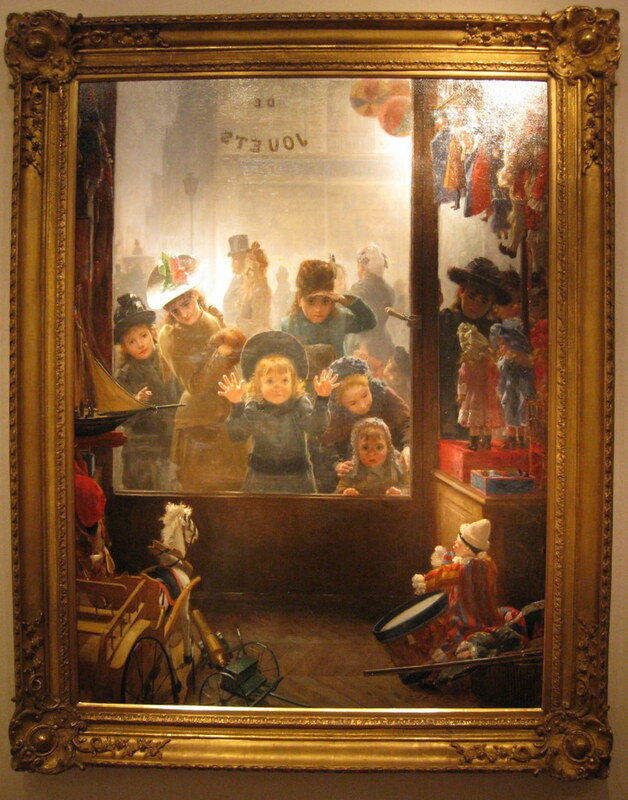 Tomoléon Lobrichon (French, 1831-1914) The Toyshop Window. Oil on canvas. 44.5 by 33.5 in. Walker Galleries, North Yorkshire. Sir John Everett Millais (Brittish, 1829-1896) For the Squire (1882) Oil on canvas. 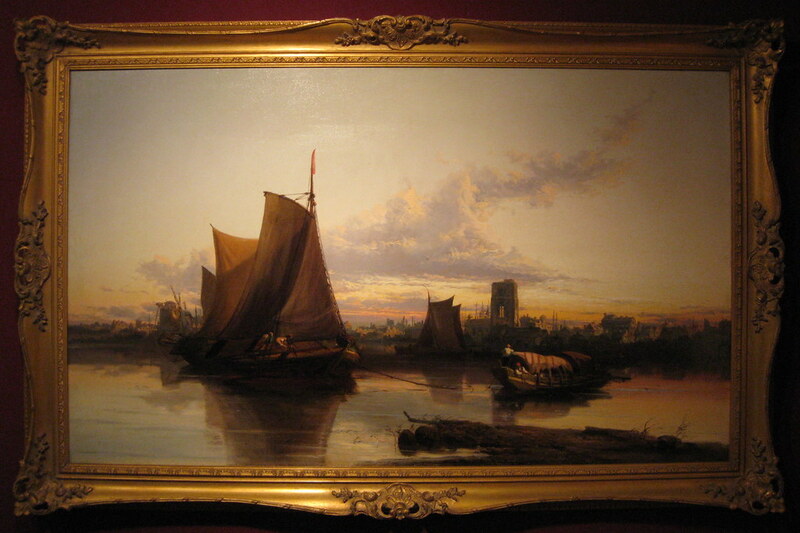 The Fine Art Society, London. 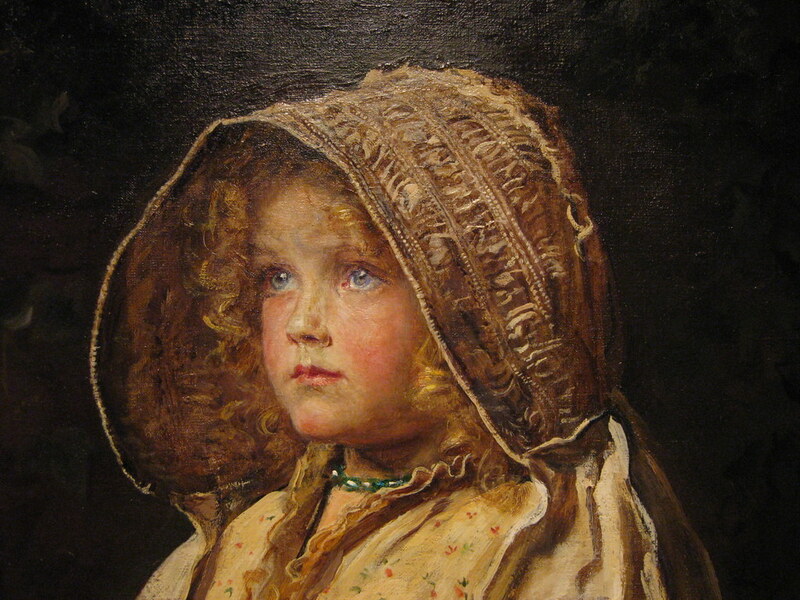 I wanted to begin and end this post with my favorite work from the exhibition: For the Squire (above) by John Everett Millais. Millais’s works rarely appear in the private market; and, when they do, it is not often in the form of a fully-realized canvas. It is the kind of work that will never be featured in a show due to the lack of drama. It has all the so-called sentimentality that turns many off to the period. For me there is a purity of spirit, an innocence in this work that is communicated in a way that only painting can. 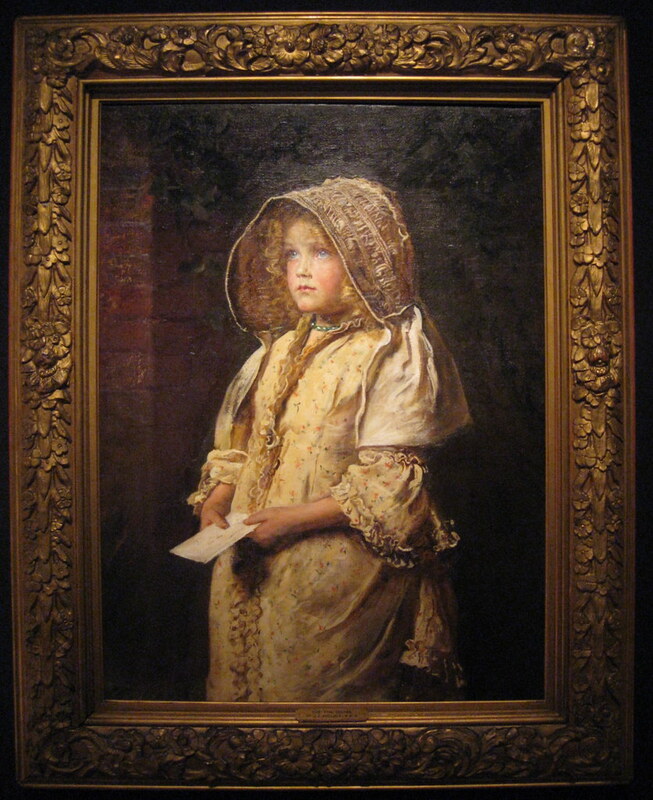 The narrative–the delivering of a letter–is the lightest of pretexts for painting this little girl. Unlike the style that characterized his early Pre-Raphaelite works, this painting is not consumed with details. (The background, fabric, and hair are more suggested than copied.) Done when he was 53, it seems the product of a mellowed Millais. What a lovely report! Thank you. Mr Prince later owned Marble House in Newport, Rhode Island, if I am not mistaken. 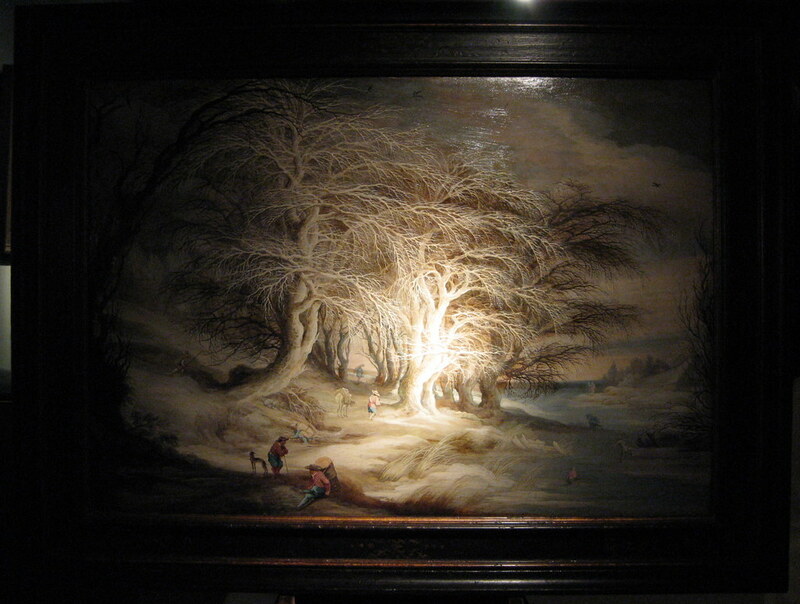 I love the winter landscape by Leytons. It’s creepy and magical at the same time; like ice.